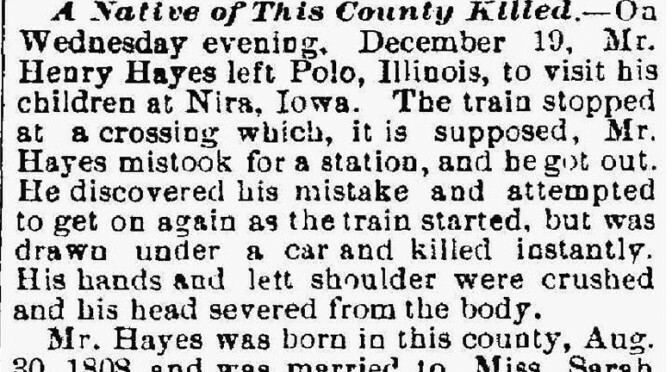 Henry Hays, reportedly born in 1808, was killed in 1888. Because he is my four times great grandfather, I have been curious about the facts of his life since I started researching in 2003. Initially, I only had information from family bibles. My challenge with this source if I don’t know who originally entered the information on the family page. I know that he has a shared family plot in Fairmount Cemetery in Polo, Illinois, but I haven’t found officially information regarding his death yet.